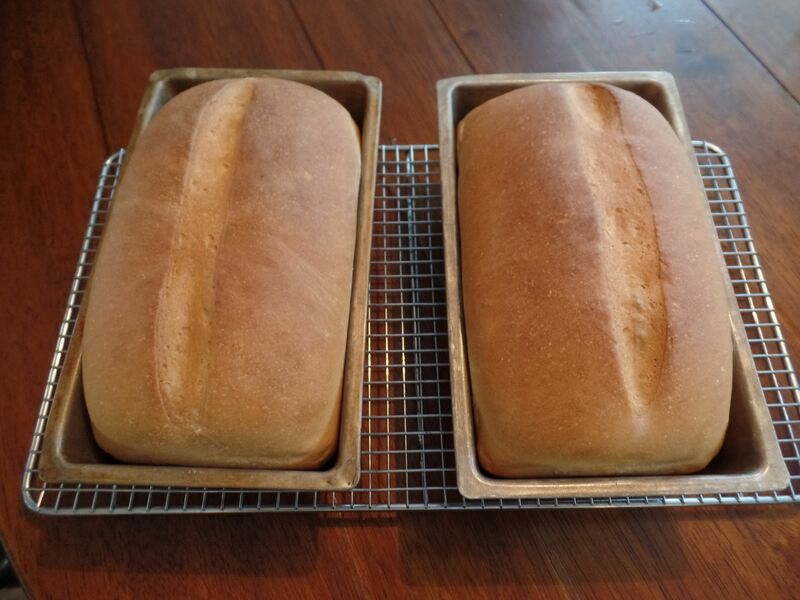 I normally make this dough using a second hand bread machine. I don’t bake it with the bread machine but just use the dough setting. If you make a lot of dough, you might consider picking one up. I will buy any bread machine from a thrift store that looks clean and barely used. 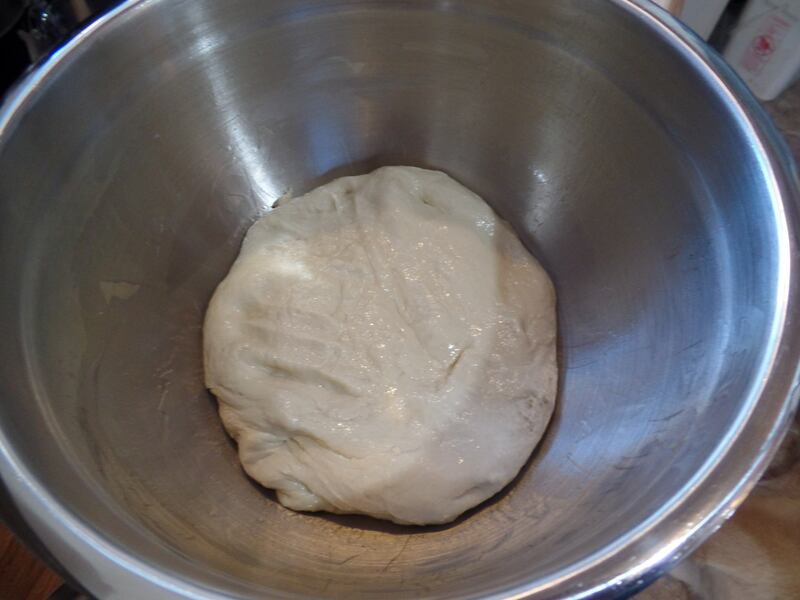 For this tutorial, though, I am giving the instructions to make the dough with a stand mixer. 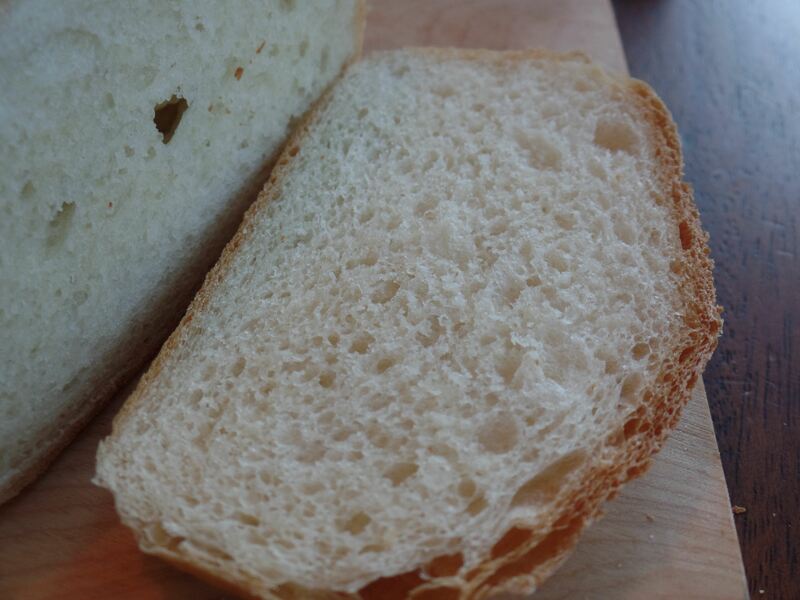 If you did use a bread machine, you would just put all the wet ingredients in first and end with the yeast. Also, if you wanted to make this with whole wheat flour, it substitutes just fine. You just may need a bit less flour. A lot of the time I will make this recipe with 4 cups of whole wheat and 2 cups of all purpose flour. Don’t be afraid to add a little warm water or a little extra flour to get the dough to be the right consistency. After adjustments are made, it should be very soft and pliable. You just want it to come together well. Don’t worry if it is sticky. Sour the milk with the vinegar and set aside. Add 4 cups of flour and all of the dry ingredients to your mixer. With the paddle attachment, mix until blended. Add all of the wet ingredients to the dry and mix until incorporated. Then increase the speed to medium high and mix for a full 10 minutes. Reduce speed and slowly add 2 more cups of flour. 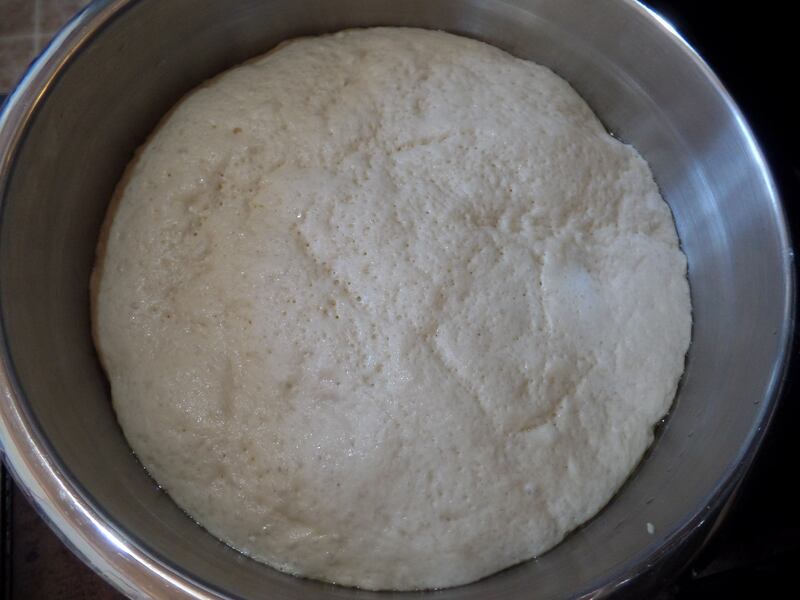 Mix until moistened and then change to the dough hook. With the dough hook, mix for 5 minutes more. Oil a large bowl and set the dough inside. You’ll want to flip it over once so all the dough is oiled. Cover it and set it in a warm place to rise for about an hour. I turn my oven on for about 10 or 15 seconds to provide a little heat and then I set the dough inside and close the door. 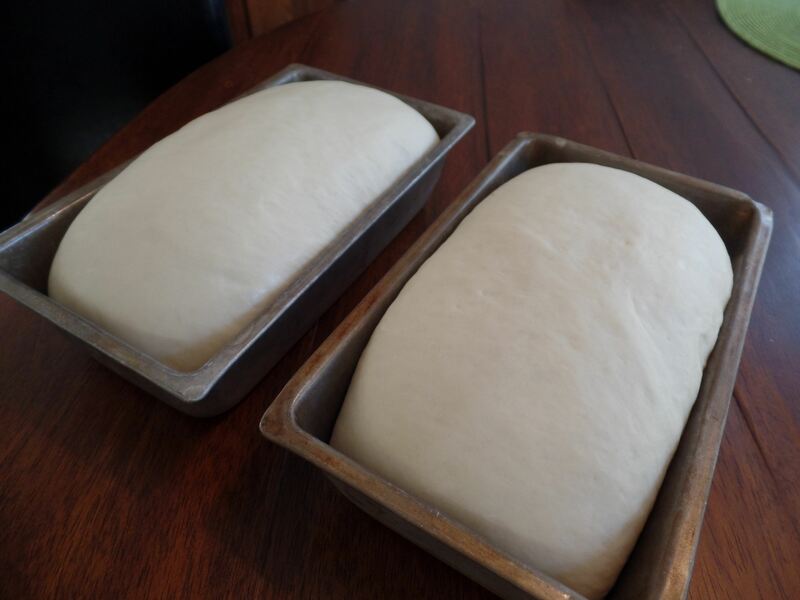 After it has risen, it will more than double in size if it’s white bread. Here’s my dough after 1 hour and 15 minutes. It is a little over-risen. I would guess I let it rise for 15 minutes too much. Then you need to grease your loaf pans. I always use butter. Now for the shaping! This is my favorite part. Here’s another short video showing how I shape my loaves. Cover and let rise for about 20-30 minutes. Near the end of the rising time, preheat your oven to 350. I make a shallow cut down the center of the loaf so it has a little extra room to expand in the oven while baking. Bake at 350 for 17 minutes. Cover with a piece of tinfoil and bake for 17 minutes more. Don’t slice into the loaves too soon. They need to cool a minimum of 20 minutes. 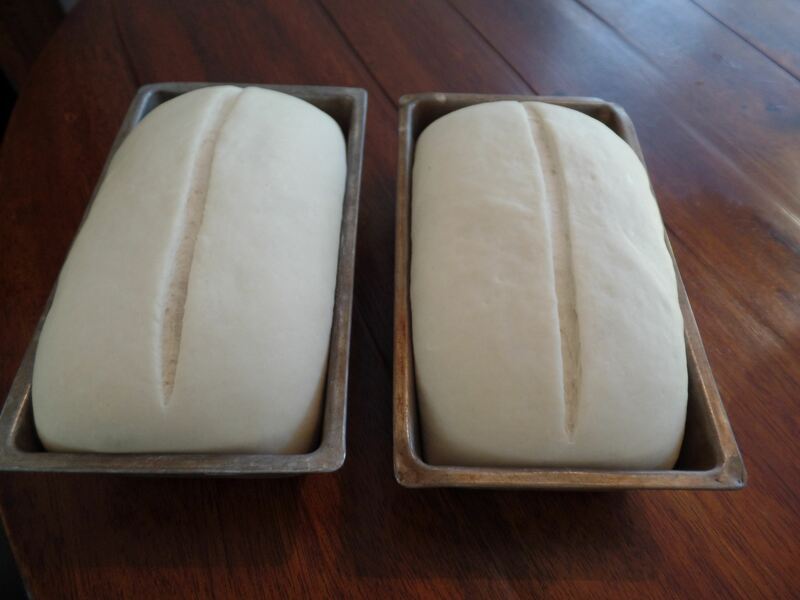 Here’s a photo of what the loaf should look like inside. Once they are cooled, I slice them and store them in freezer bags in the freezer. This entry was posted in Food, Handmade. Bookmark the permalink.